Everyone at the DoubleTree Grand Key Resort is greeted with friendly staff members and delicious chocolate chip cookies. It’s a place where you AND your pet can relax. 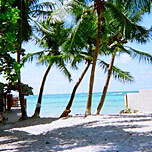 The DoubleTree resort is the perfect tropical getaway for guests and their furry friends. 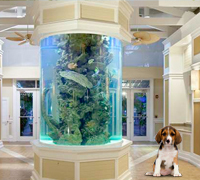 Enjoy the full-service Palm Haven Restaurant, complimentary WiFi, superior room service, waterfall-featured pools, sunbathing decks, and cocktails from the Tiki Bar along with your pet. 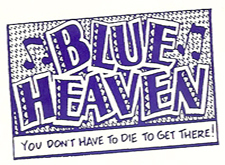 Blue Heaven serves famous and premiere Caribbean dishes, seafood, and a wide variety of vegetarian options. From Key Lime honey glazes to scallop sauce at dinner to legendary pancakes for breakfast, Chef Dan’s food is divine. Don’t miss Bananas Heaven, their signature dessert. Situated on the corner of Petronia and Thomas streets in the heart of Bahama Village, it is known for its popular brunches and roaming chickens. 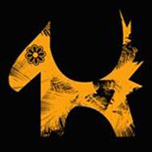 Island Dogs welcomes locals and visitors alike who are looking for affordable drinks and hearty yet sophisticated food in a laid-back atmosphere. Located just off the main strip of Duval Street, Island Dog's porch is a prime spot for people watching. Live entertainment takes stage after 8pm on most nights of the week. Don't forget their famous Trivia Nights on Tuesday with great happy hour specials Monday-Friday. 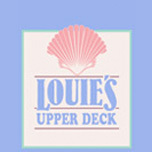 Magical panoramic views of the Atlantic Ocean await you at the Upper Deck at Louie’s. Fine wines by the glass or bottle are served as a perfect compliment to the small plates of focaccia, carpaccio, oven-fresh gourmet pizzas and more. Open 5-10pm, Tuesday through Saturday. A local and visitor favorite for over 25 years. Looking for hats? 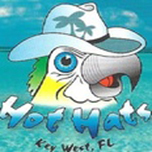 Lippy’s Hot Hats of Key West is the oldest store in Key West for the best selection of hats. Located right on Duval Lippy's have a variety a hats to suite your needs. From Western hats, to Baily, Stetson, Tommy Bahama Lippy's has them all! Focusing on providing the best quality with the highest levels of customer satisfaction they will do everything they can to meet your expectations. Great music, food, drinks can be found at the Southernmost Hard Rock Café in the continental USA. Located in a lovely, but haunted, Victorian home that was once home to the Curry family, the Hard Rock Café Key West sits right on Duval Street. Watch the world go by on their two story porch or sit indoors and see memorabilia from Buffett, the Beatles, Beach Boys, Rolling Stones, The Doors and so many more icons of the music world. Nestled next to Louie’s Backyard, Dog Beach offers you and your four-legged friend a wonderful Sandy Beach where you can both cool off or just enjoy the beautiful blue waters of the Atlantic Ocean. With a name like Lazy Dog, you know they are all about the dogs. Bring your hound with you on a paddleboard or kayak. The folks at Lazy Dog Charter will set you and your dog up for water adventure. 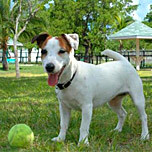 Located at the next to the White Street Pier and Higgs Beach, the Key West Dog Park offers man’s best friend two runs, one for all dogs and one just for dogs under 25 pounds. Both have a watering station, shade trees and seating. For 25 years, the Hog’s Breath Saloon has served cold drinks, delicious food and live music in their outdoor tropical setting and in the rustic, cool interior of the bar! “Hog’s breath is better than no breath at all!” Enjoy the cool, air -conditioned interior or have a drink outside! 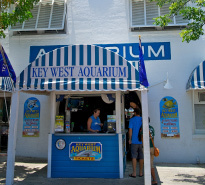 Check out their three live webcams or purchase one of their famous t-shirts in the mercantile store!